See also Mayfield Village News and Twitter (@MyMayfield) . 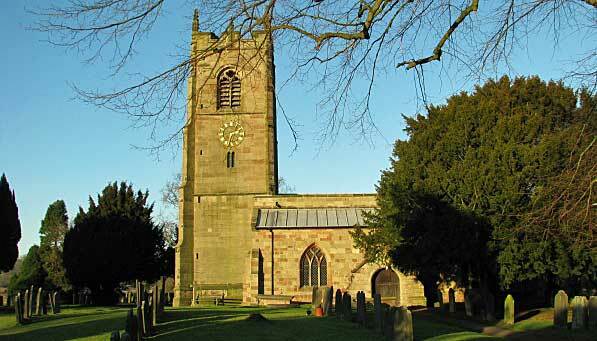 The most commonly used venues for events are the Church, the Church Rooms and the Memorial Hall. Here are their addresses. Just up from the church with a small car park. Palm Sunday & St George's Day Parade , Mayfield Church. 10.45 am. Family Worship after parade by the Scouts. Mayfield Arms, Mayfield Memorial Hall. The Mayfield Memorial Hall is open from 12.00 to 6.00 pm. Free entry, full bar, darts, pool table, dominoes and cards. Everybody welcome including children and dogs. All proceeds go to Memorial Hall funds. Every other Sunday. Maundy Thursday , Mayfield Church. 7.30 pm. Holy Communion. We recall the Last Supper. Includes light refreshments. Good Friday , Mayfield Church. 2 pm. Vigil Service. Children make Easter Garden, Mayfield Church Rooms. Children make a model of the Easter Garden. In the Church Rooms from 2pm. Easter Egg Hunt, Mayfield Church Rooms. On Saturday 20 April in the Church rooms and, weather permitting, vicarage garden. 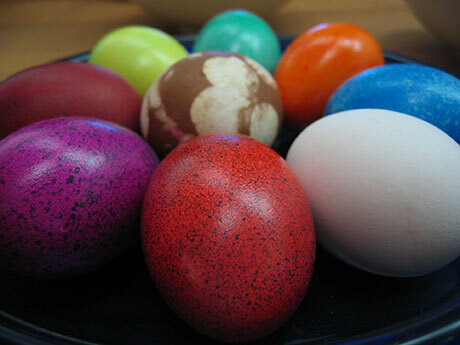 Easter egg hunt for under-elevens plus Easter activities like egg painting. This is a free event organised by the Mayfield and Rocester Neighbourhood Association (MARNA), but you need a ticket - to get yours contact office@marna.org.uk. Tickets will be delivered this week - ring Charlotte on 07772 360472 or Alz on 0753 109542 if you haven't yet had yours. Easter Day , Mayfield Church. 10.45 am. Church Family Communion. Short all-age service which includes Communion and nice things to eat! More Memories of Mayfield, Mayfield Memorial Hall. From 2-5 pm. Mayfield Heritage Group is launching the start of a new book "More Memories of Mayfield". To kick start this they have organised a village get together with free refreshments. The new book will cover the period from 1939 to 2020. They would like to gather information on the more recent events in Mayfield. For more information contact mayfieldheritage@gmail.com. MRA Painting Volunteers Needed!, Mayfield Recreation Association. Thanks to the help of MARNA and the Trent & Dove Volunteers, the refurbishment of the Multi-Use Games Area (MUGA or skatepark) is proceeding well. The next stage is to paint the posts - and the MRA is asking for volunteers from the village to help with the painting at 10 am Saturday 27th April. The paint to do so has been very kindly donated by BuildBase (again, organised by MARNA). 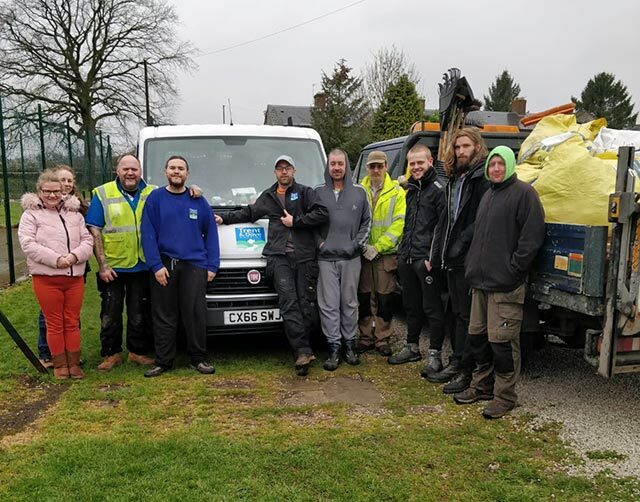 "Trent and Dove have brought a huge workforce on two days and worked wonders with the MUGA. The rotten jumps. boards, netting have been taken away. The place cleaned and all rubbish removed. T & D were using volunteers and the 8 of them, plus two lorries and clearing equipment. This magnificent effort is equivalent to a large donation to the MRA and will be helpful when we ask for grant funding (they usually ask for matched funding, this may be in the form of money or labour and work in kind). I would estimate the true bill for this work as being: 8 x 2 x �100 ( long half days), plus two vehicles, plus 3 skip charges. Approximately �2,400! I thanked the team from T & D yesterday, assuring them that they had done the Mayfield community a great favour." Meet the Mayfield Village Groups, Mayfield Memorial Hall. See what Mayfield has to offer. Come and meet all your village groups and societies - you might be surprised at how many there are. Full bar. From 2.30 to 4.30 pm. For more information contact office@marna.org.uk. Summer Fair, Mayfield Memorial Hall. Plant stalls, massive raffle, craft stalls, refreshments. Free entry. Mayfield Beer Festival 2019, Mayfield Memorial Hall. Due to generous donations from sponsors entrance to all dates for this year's beer festival is free. Barbecue and live band on the Saturday. A range of new beers both on tap and draught, ciders and a gin bar. For church services see our Services page. The Bell Ringers ring every Sunday before church. They practice on alternate Thursdays. To join the bell ringers please contact "Bell Captain" Margaret Wimbush - 324083. Every Sunday, starting at 10.30 am in the Church Rooms. Just turn up or contact Margaret Mansfield, Tel: 01335 343791. All children, from 3 years, welcome for stories, songs, craft and drama. Margaret will collect local children so you don't even have to drop them off. Our school nursery is open every day and is free for children who are three to four years old. There is also free transport from villages like Stanton, Ellastone and Wooton. A teacher and a nursery nurse teach the nursery children. They are Ofsted inspected and the October 2017 report rated Early Years teaching (and the school in all areas) as good, saying "As a Church of England school, it provides a clear moral and social code, which values everyone equally. Pupils' cultural development is promoted well through the use of additional funding to visit places of interest, such as the local farm." For more details call Henry Prince School on 01335 342613 or see their web site. The Wendy Club and Mayfield Parent and Toddler Group have merged. The Mayfield Wendy Club is named after Wendy Greatrex, who died in 2006. She had two children aged four and two: Oliver and Lucy. Wendy spent much of her time helping to look after children: she ran the Mayfield Parent and Toddler Group, assisted at the Norbury preschool and helped out at Henry Prince School. The new group is for children aged under four together with their parents and carers. It meets on Tuesdays from 9.30 to 11.30 am. New members very welcome - just turn up or see the Henry Prince web site for more information. Mayfield finally has its own scout groups: Beavers Scouts aged 6-8 years and Cub Scouts aged 8-10 1/2. Both boys and girls welcome. They meet on a Thursday night: 6 pm Beaver Scouts followed by Cub Scouts at 7.30pm. To get involved contact Katy Lewis, Group Scout Leader first_mayfield_scouts@outlook.com. Every Wednesday 8-9.15 pm in the Church Room. Phone 300227 for more details. Arrange first rate concerts of both classical and contemporary works, usually four in a year, for the community in and around Mayfield. Their concerts have brought established performers of International repute to Mayfield. Contact penny@mayfieldmusic.org.uk, tel: 01335 342114. First Monday of the month, 7.30 pm in the Church Room. Contact mayfieldheritagegroup@hotmail.co.uk. First Wednesday in the month, 2 pm in the Church Room. Most books can be obtained via the Book Chat service at Ashbourne Library. Not all choices have met with unanimous approval but we enjoy lively discussions and hearing the views of other members. If you wish to join contact Muriel Byron or Ruth Sands on 01335 344028. Second Thursday in the month, 7.30 pm in the Church Room. Every third Wednesday. Mayfield Avenue 1.10-1.25 pm, Upper Mayfield 1.35-1.50 pm, Rose and Crown 2-2.15pm. First Tuesday in the month, 9.30 am at the Church Room for village walk. Tuesdays 10.30 - 12.30 pm. Mayfield Memorial Hall. Wednesday evenings at the Memorial Hall. Monday evenings at the Memorial Hall from 7 to 9 pm. Everyone from beginners to more advanced dancers. Just £3. Go-Rin: Knee High Samurai, Junior and Adult warriors. Every other Friday 2 to 4 pm. Mayfield Memorial Hall. Second Thursday in the month, from just after 10.00 am in the Church Rooms. Discussion begins at 10.30 am. About 15-18 members regularly attend. Meet the first Wednesday of every month at 7 pm in MRA Pavillion. Meet the first Monday of every month at 7 pm in the meeting room of the Mayfield Memorial Hall. If you know of a village group that is not listed here, or would like to expand your group's listing, please let us know. We can also provide groups with their own web page for free!